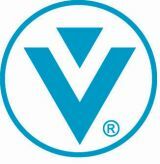 Vanderbilt Minerals @ ChemBuyersGuide.com, Inc.
Vanderbilt Minerals (formerly R.T. Vanderbilt Company, Inc.) opened its doors for business on 42nd Street in New York City in 1916. The company was founded by Robert Thurlow Vanderbilt. Through a combination of personal savings, a family loan and the desire to provide solutions to the manufacturers of the day, Robert set the cornerstone for our Company. Our origins stem from the sale of kaolin clay to the paper industry. From our humble beginning, with one product family to one industry, the Company has evolved to offering a vast array of unique products that serve several Life Science & Industrial markets across the world. Robert Vanderbilt believed that research was a critical component to the growth of his business. Nearly 100 years later, that belief is still central to Vanderbilt Minerals, LLC. We provide substantial investment in pure research for new product development as well as applications laboratories to assist our customers in their formulating needs. Our Life Science area supports the Personal Care, Pharmaceutical, Agriculture & Pet Care markets, while our Industrial area serves the Paint & Coatings, Ceramics & Refractories, HI&I and Concrete markets.